I’ve been waiting a long time for this one! 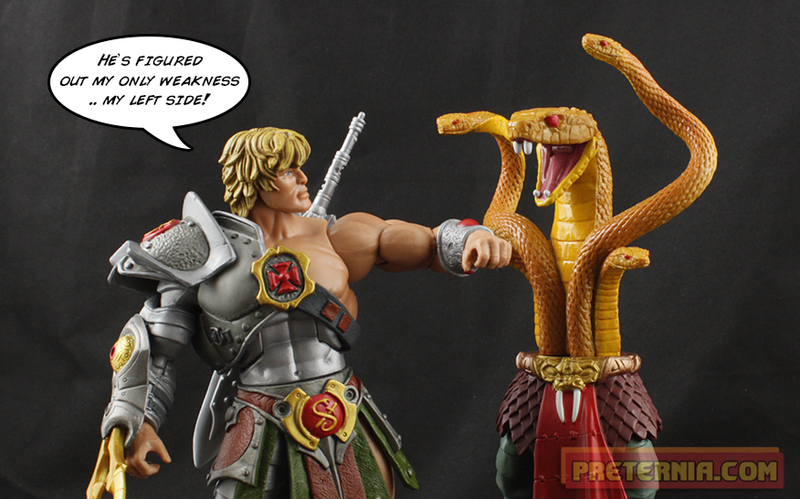 Who would have thought in the supposed “last year” of Masters of the Universe Classics that Mattel would sandwich in a two-pack of Snake Armor He-Man and Battle Armor King Hssss? Two pretty giant wants of mine from the 200x cartoon. Then on top of that it was announced at Toy Fair that we will also be getting a 200x seven figure subscription starting in July. Now we get to fill out those modern cartoon ranks even more. Honestly, the prospect of a completely vintage year had me slightly unenthusiastic. That isn’t to say I don’t want a lot of those characters to finish my vintage part of the collection. But I like when we get those off-the-beaten-path characters. I think adding in the 200x subscription and maybe a couple more Filmation offerings should spice up what was going to be a fairly predictable 2015 for Classics. I think we have to go all the way back to the Star Sisters as the last multi-pack to contain more than one character. Typically the two-packs have been used to put out an army builder like the Snake Men, Palace Guards, or Horde Troopers. So in a way this is kind of a treat that we are getting two unique characters in this box set. Speaking of the Star Sisters, it’s a little depressing to look back and realize that the three-pack was only nine dollars more than this current two-pack. MOTUC inflation is the worst! Shipping prices haven’t gotten any better either, so I’m not going to bother looking back at that invoice. 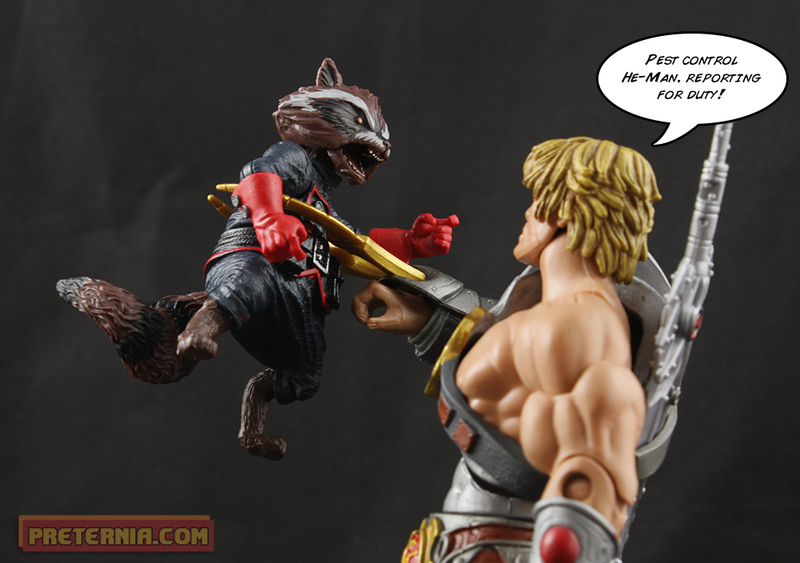 I had my concerns with Snake Armor He-Man. If 2015 taught me one thing it’s that a beautiful 4 Horsemen sculpt and paint could easily get ruined by the Mattel design team. When I saw that figure at San Diego Comic Convention that was the figure I wanted. It had a ton of detail that I was afraid could easily get cut to make ends meet, or of course the design team could botch something and he’d turn into Fat Snake Armor He-Man. I’m happy to say that it does not appear that much, if any, detail was lost from prototype to production. We did lose the shield, but we knew about that shortly after SDCC so it really doesn’t bug me. 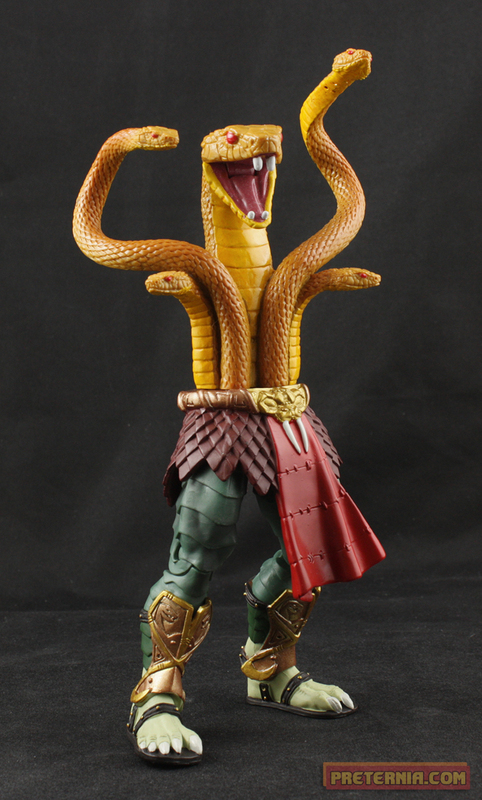 Snake Armor He-Man is a beautiful figure with a ton of detail and new tooling. The lower legs, forearms, belt, head, and armor are all new. He also includes a sheath on his back to hold his power-sword. Unlike Fisto, this sheath is actually made correctly and doesn’t leave a giant hole in his armor. And unlike Prince Adam they didn’t just forget it altogether! 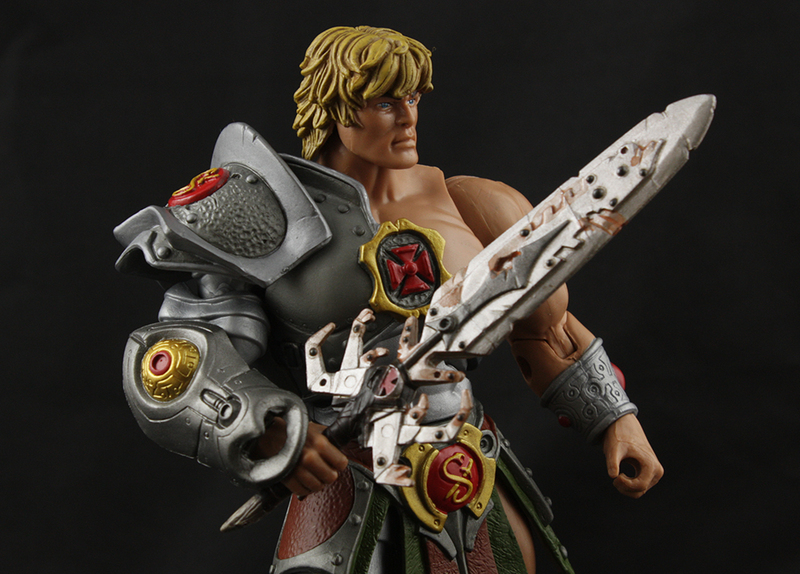 Snake Armor He-Man comes with two accessories: the 200x power-sword and a claw. The claw plugs into his wrist armor and He-Man uses it to carefully handle snakes. The power-sword we have seen before (I believe with Man-At-Arms?) but it’s probably good to get a refresher on that. I would have been happy if they actually sculpted an open version of it, but it’s not that big of a deal. This year amongst being a vintage and 200x year also appears to be the year of He-Man heads. With this release we finally have an official 200x He-Man head. Next month we will get an Oo-Larr that also includes a vintage He-Man head. We also have at least two more He-Variants planned for this year so there are chances for even more head. Somewhere Al Snow is pleased. If you recall the 200x version of King Hssss had a slightly Egyptian look to him. At least that’s how I perceived it. They put a surprising amount of effort into a figure that could have easily been a fairly cheap repaint. He boasts a new head, chest overlay, forearms, belt/loincloth, lower legs, and feet. Somebody at Mattel REALLY liked the 200x version of Hssss because that is a ton of new parts for a character variant. Another interesting aspect of this version of Hssss is that the overlay is not glued to his torso like the original. His chest part is tucked under the arms but then cuts off shortly after, almost giving the illusion of the 200x aesthetic of big shoulders into tiny waists. It works really well. Unfortunately he does not ship with his alternate snake upper body. Apparently this didn’t cost out and will be included with a figure somewhere down the line; my money is on Buzzsaw Hordak. I’ve heard it reported that some people had issues removing his torso and I am happy to report that mine did not have any issues. I hope maybe it was just a few isolated cases. The mix and match possibilities are kind of fun to mess around with since the waist pegs work with both the old and new King Hssss. 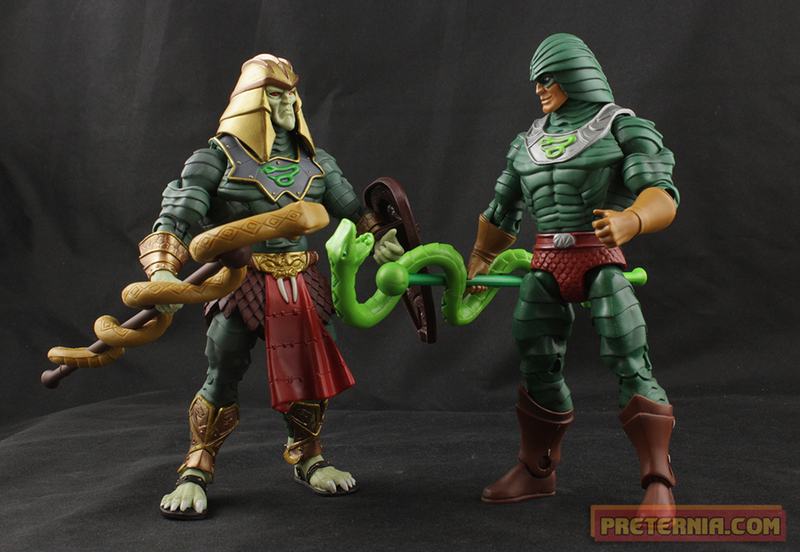 This set is everything I could have asked for in a Snake Armor He-Man. The included King Hssss is just the cherry on top. I’m really glad that they seem to have turned things around over at Mattel, and whatever was causing the mediocre figures of last year appears to be gone. Both of these figures are as good as I could have ever expected their Classics versions to be. If you are a fan of 200x themed or just well made figures in general I would suggest picking this set up. It looks to still be available on Matty’s store, so grab it while you can. If you missed Matty you can always try Amazon as the next best option … or find someone who has a second that they don’t need! Both great-looking figures. I am not really a fan of the original MOTUC King Hsss, but I think this one turned out really well.